We have here another article, the fourth one from Joe Montero, interpreting what the the Australian Fact-Finding Delegation to Venezuela discovered. 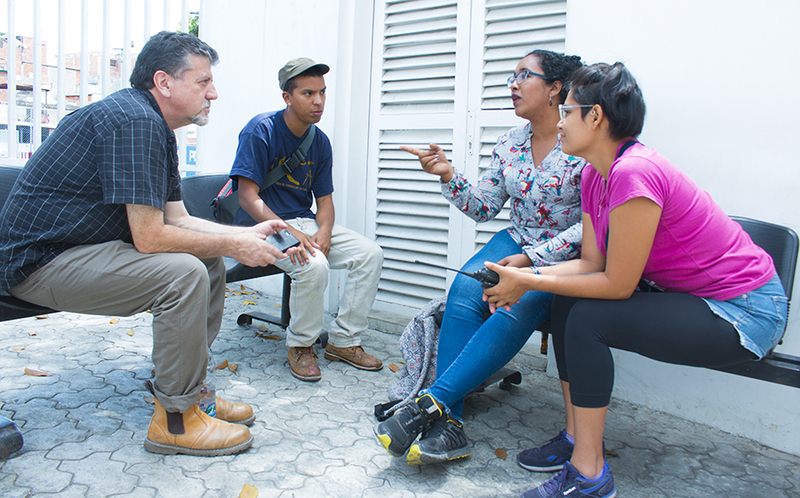 This time, he writes about his impressions in Caracas, the nation’s capital; life in the poorer barrios and in the wealthier ones, the contrasts and the politics. When we got back to Caracas, the power crisis, and the associated failings in telecommunications and the water supply, were still on. People were continuing to find it hard to get hold of enough money to get by. Like in other parts of the nation, queues formed up at water distribution points, and outside the banks. If the purpose of the United State’s attack on these vital resources had been designed to cause a revolt against the government, it failed miserably. Everyone knew who was behind it. Last week’s firebombing of a power plant confirms that the power supply is a target. Organised communities with extensive networks of contacts, enabled news to travel quickly, despite the loss of electronic means of communication. The same capacity made possible a quick response to the emergency throughout Venezuela. This lessened the potential impact considerably. But it was the incredible patience and resilience of the population that stood out. People went about their lives as normally as possible in the circumstances. The saw that they had to stand together. Visible protests were few, muted and not always against the government. Some individuals told us that economic sabotage, destruction of food and medical supplies, and the use of commando units to inflict terrorist acts have been routine for years. They saw the attack on the power system as a continuation, although more extensive than previous attacks. The United states has denied that they were responsible, but the evidence that they were is mounting. Discontent against the government was not visible in the streets. On the contrary. By the time of our return to Caracas, the public’s mood had turned almost festive. Daily local marches, concerts and other activities expressing support of the Maduro government were taking pace. The opposition was much less visible. It carried out its own activities. But as we saw with our own eyes, they involved far fewer people. According to various sources, the pro Juan Guaido rally responding to the blackout and calling for a state of emergency, to put him in charge of the government, only attracted between 1,000 to 1,500. Others have said there were more, Whatever the number, it was much less than 50,000 reported to have participated in the pro Maduro rally the day before. One factor behind the smaller turnout is that the mood for open confrontation has diminished in the current circumstances. Even counting this in, and the disruption caused by the closure of the metro rail system, doesn’t explain the big difference in the turnouts. 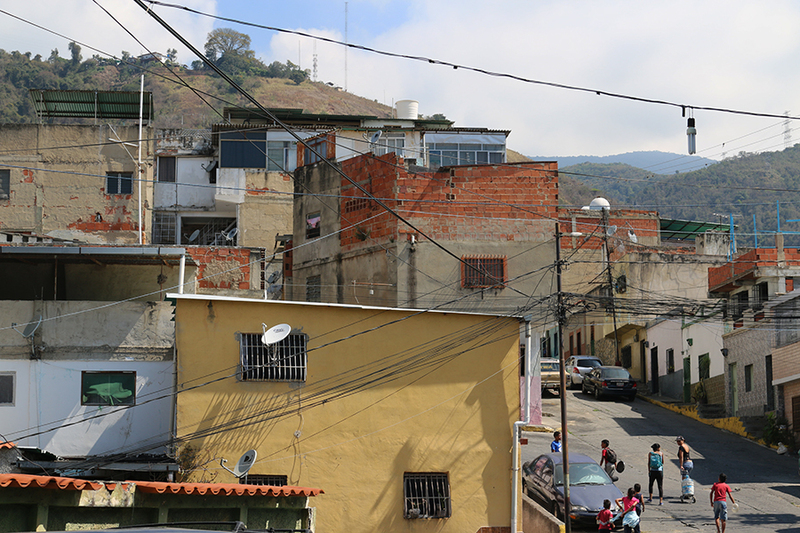 The opposite side of the city centre houses wealthier Caracas. It might as well be another world away, for the two populations Have very little to do with one another. With its salsa and Afro rhythms, Caracas is never quiet. The crowds passing by, the street vendors and never ending supply of hawkers adds to the din, as do the many activities we found. Once or twice we even got pulled into dancing in the streets. This is one side of Caracas. The other is the serious political climate, which we witnessed in the places where we went and with the people we came across. This one statement by an ordinary person, not by an official or party mouthpiece, sums up what a hell of a lot of Venezuelans are thinking. When we paid a visit to one of the poorest barrios, up on the slope of one of the mountains surrounding Caracas, we got to meet members of a local street committee, after they arrived in a convoy, loaded up with containers of water from a spring higher up the mountain. A highlight was a visit to the local medical centre. This has been made a reality by the work of adjoining communities, relying on their own efforts and without public funding. It is no third-rate facility, but a modern medical centre in every sense, Equipped with professional staff and the full range of diagnostic equipment. There is an emphasis on preventive medicine, health education campaigns, and the screening of children and providing them with a haelthy breakfast. Maintaining independence is essential, we are told, to building grass roots political power. Just like in the places we visited near the border with Colombia, there is a conscious emphasis on challenging the central role of the state. This is a repetition of a story we have heard again and again. Communities value their independence to act as they see fit and do not want to be tied down, through financial and other agreements. This tension between the state and the grass roots is seen as a healthy development, bringing in the possibility of creating new and much more democratic future. To our minds, this is truly revolutionary. The concept, we are told, lies at the heart of Chavismo. Hugo Chavez mad it clear that the winning of elections does not achieve political power, because the real control lies in the hands of those who are in control of the major enterprises, dominate the administration and the monopoly media, and that this can only be challenged by a new political power outside the formal institutions of the government and state, and which emerges from grass roots self-management and action, representing the collective will of the sectors of society. This is the true content of the revolution. We begin to see that this is also what has generated such fierce opposition form a part of Venezuelan society. It sees this grass roots democracy as a dictatorship against the dominance of the traditional parliamentary two-party system, traditional law and a usurpation of the roles of politicians and administrators. Even worse, it is seen as means of preventing the free operation of the market and the right of business owners to a free hand. Consequently, the opposition core sees this as a battle for survival. How do communities manage to cover the costs? They say they, through collective effort and sharing the burden. Secondly, when projects deliver tangible benefits, those who were once less inclined to give their support, start to join in. We asked what is involved? Right on the spot, we decided to put in one hundred dollars each to cover the three hundred dollar cost. More than six and a half thousand households will now have regular running water and we have made some true friends. It strikes us that this what genuine aid is all about. Not a pretense at the border, so obviously engineered as a political provocation. True aid is based on read needs, determined by those who are to receive the aid. This is something we can take home, to encourage other Australians to do more of the same. Perhaps this reality does not represent every Venezuelan. Only a section may be actively involved in this movement. But it is clear to us, that there are enough to give it the strength of a genuine national effort that is beginning to transform society. 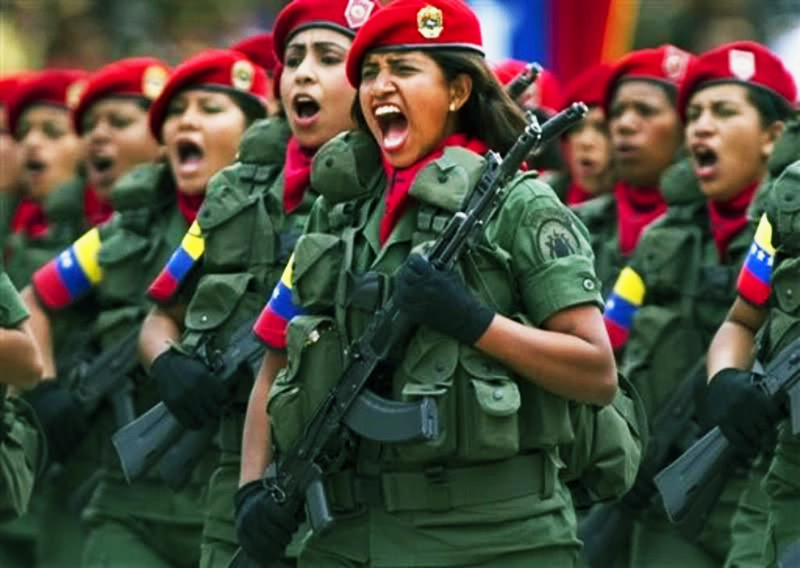 This is what is giving the Bolivarian revolution its strength, and it is going to be very hard for its enemies to stop it. What about the opposition? 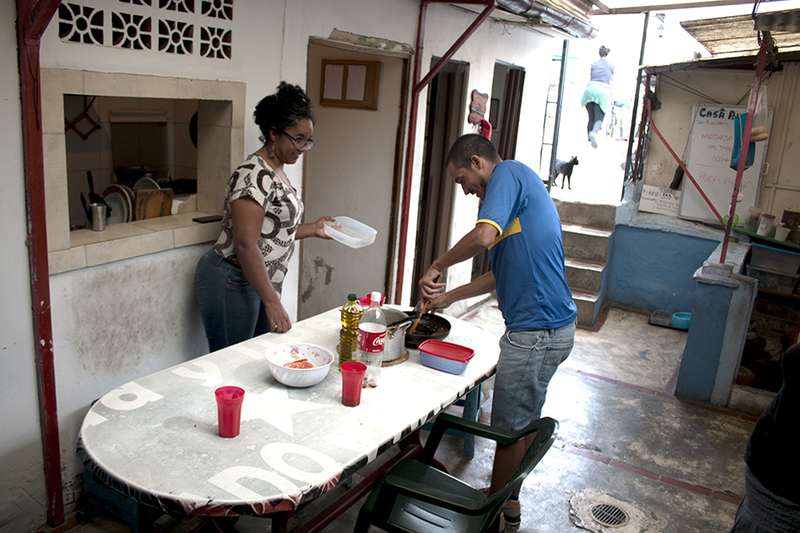 As already stated, its support base is in the wealthier parts of Caracas, where life is very different. It is largely made up of descendants of European immigrants, who tend refer to themselves as the civilised and those in the poorer parts the uncivilised, the ‘malos’ – bad people – who must be controlled for the sake of civilisation. Civilisation is the world, institutions and political balance that existed before the rise of Chavismo. It dawns on us, that the isolation of the two Venezuelas from each other, contributes to the great divide. The opposition looks on from its ivory tower, and believes that its world is the same world faced by all Venezuelans. It does not understand, or even wants to understand, how the other half live and feel. Because of force of habit, support of the church hierarchy for the opposition, and the continuing existence of the anti-Chavez media monopoly media, and of course, the economic hardship, the opposition has managed to get some traction. But this traction has proved insufficient to kill Chavismo in its tracks. Every sign is that the opposition is losing ground. It looks like the Guaido factor hasbeen a tactical blunder.Instead of bringing the opposition into power, is working to strengthen the Maduro government. From what we have heard, there has been we hear, a noticeable shift in public support towards Maduro. There are those who were reluctant to give their support in the past and now do so, because they see him as only figure capable of unifying the nation and preventing war through a foreign occupation. In other words, Maduro is winning over the neutral ground. We have seen signs that sections of the opposition are pulling away from Guido. Either they see his self-proclamation as President as going too far, or they are reluctant to give backing to someone who has openly called for American military intervention. Behind closed doors, meetings are taking place with the Maduro side. As outsiders, we are not privy to any more than what we hear and read. Although there is no way for us to verify this one hundred percent, it does sound plausible. If this is the case, the Guaido strategy may well prove to have been foolish. There is something else to consider. Guaido as the alternative president is no more than a title. When a Venezuelan must pay tax, access a service, pay a bill, or go to court, he or she must do these things through an administration in the hands of the Maduro administration. The longer this goes on, the more the Guaido presidency is unsustainable. Venezuela | The opposition lawmaker Juan Guaido was booed in a working-class district in Caracas. We see that Maduro is playing is smartly. He allows Guaido and his supporters free movement, and calls for dialogue to build a united vision to defend Venezuela’s sovereignty, and ensure that the future is decided by Venezuelans and nobody else. The talk on the street is now about the patriots defending the nation and the traitors betraying it. Guaido and his remaining followers are in no mood to compromise. Theirs is an all or nothing gamble, built on an illusion of public support. Guaido’s support base is mainly outside the country, in Miami, Colombia and places like Australia. We found much less inside. There may well be more than we saw. If this is the case, it is well hidden. Most important, is the backing of Washington, and some other governments, including Australia’s, which is used to create an international image, to pressure internal change from the outside. The miscalculation in this, is a seeming inability to truly understand the real Venezuela. Those who conceived the plan and put into effect, expected an explosion of support, or at least, a sizable section of the military, government functionaries and the courts to change sides. With this, Maduro would be forced out of office in no time, Guaido installed the Presidential Palace and the era of Chavismo stamped out. It did not happen and is not likely to. Maduro remains in office. He and his government are in day to day control. Meanwhile, the imposition of austere sanctions remains and the threats to invade continue. Venezuelans look at the efforts to restrict the necessities of life, while at the same time claiming to send humanitarian aid as a contradiction. Few believe it. These seem to be the most likely reasons why wealthier Caracas is so much quieter. The government has taken up a strategy of shaping its resistance to foreign intervention, as a battle for the nation’s sovereignty and the right of Venezuelans to determine their own destiny. Looking at the queues outside the banks, where no one is complaining, where many are reading the pro-Maduro free newspaper as they wait, matches what we overhear in the little clusters of people talking about the political situation. This in turn, backs what we have been told by those with who we spoke to directly. We have been left with a very clear impression about the opinion of most Venezuelans, of a society that is outwardly getting about with the business of day to day living, while underneath, there is the growing vision of a possible new future, mixed with the readiness of many to put themselves on the line to defend it. Photo by Miguel; Gutierrez/EFE: Civilian armed militia march in Caracas on 17 April 2017. The movement has grown substantially since then. They know that the winds of War are blowing. They also know that if it comes to this, together they will stand up. We saw the militias in Caracas too, the soldiers and civilians together, preparing their resistance mentally and physically. 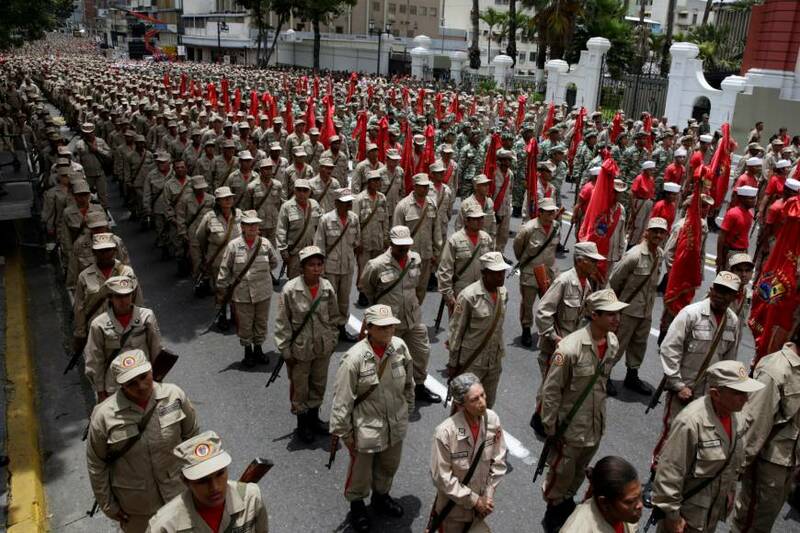 And we saw an army that remains loyal to the government and pledged to the defence of Venezuela. 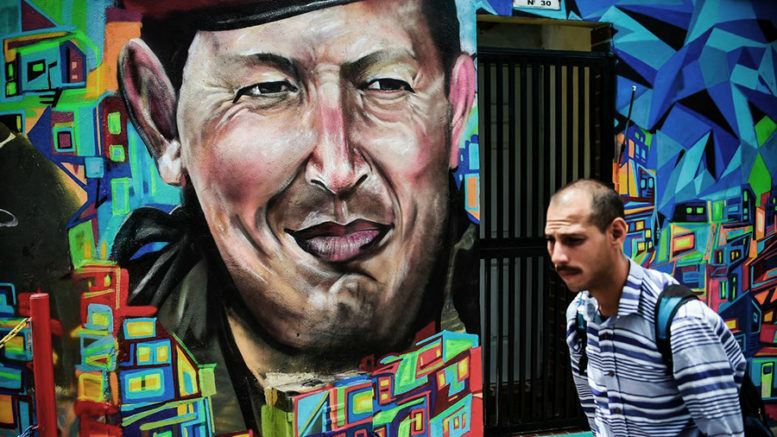 We found that Venezuela is overwhelmingly Chavista. It is an observed fact and not an opinion. Otherwise, why would the military option be on the table for those who stand in direct and most extreme opposition? Everyone should think about this. 1 Comment on "In Caracas we saw most of its citizens ready to stand up to US led intervention"